Our traditional script, Rose combines fluid strokes, and delicate flourishes to appeal to the modernist and traditionalist's taste alike. Rooted in traditional Spencerian style of calligraphy, Lily is a true modern take on the style with a fluid mix of thick and thin strokes accompanied by lovely swirls. 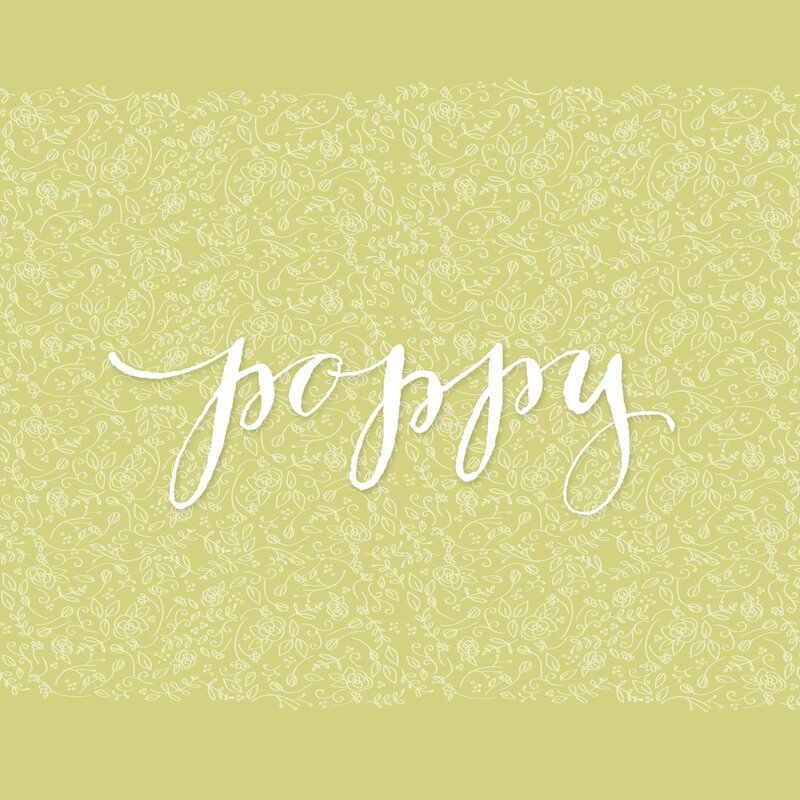 Playful, fluid and fun, Poppy communicates the sweetness of the modern pen by dancing across the page and not including any capitol letters. Foxglove Serif is my personal take on a pointed pen Serif font. It mixes great with all the other styles or holds up as a stand alone font. 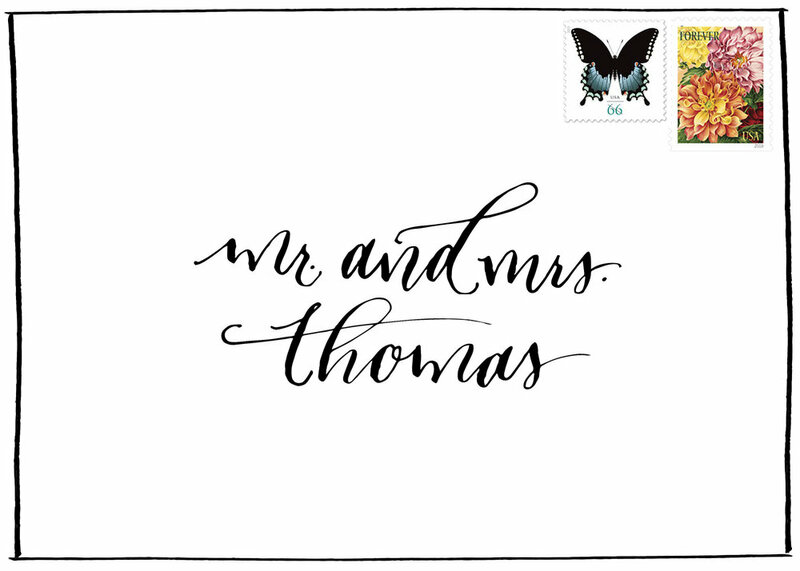 Soft and feminine, Peony is a brush script that brings a casual but classic feel to any event. A sweet but modern take of traditional Calligraphy, Daisy has a distinct feminine feel that takes on a bubbly attitude to match her bold curves. 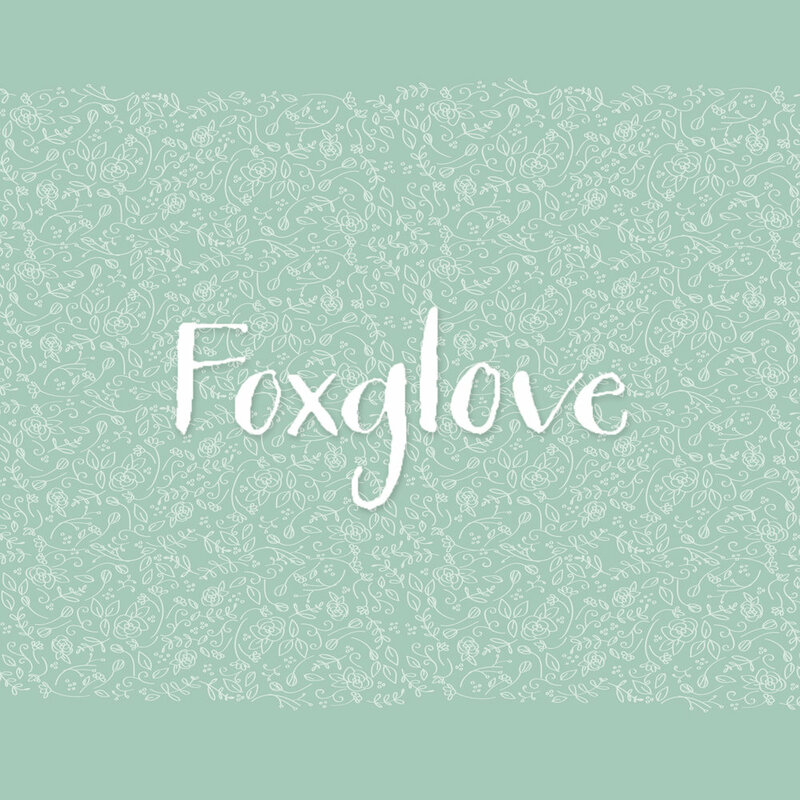 Foxglove is my personal take on a pointed pen San-Serif font. 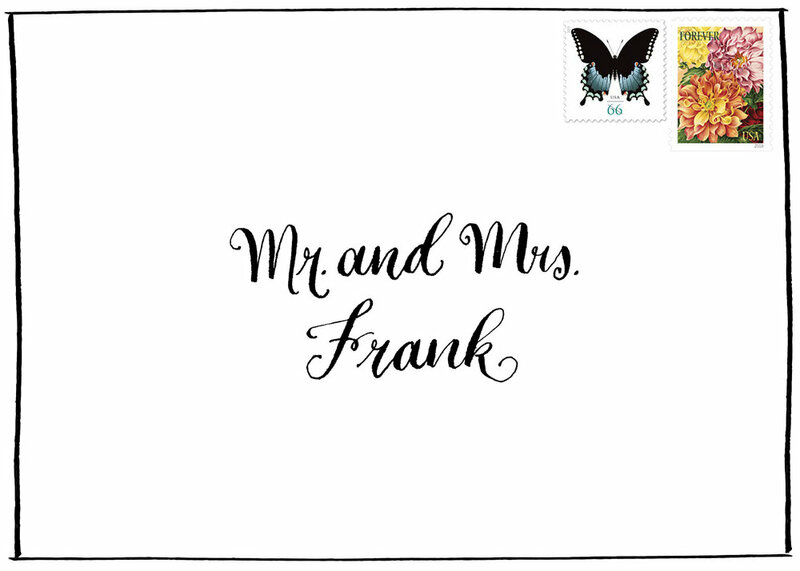 Playful but still sophisticated, this style is great to mix and match on envelopes, invitations or any other paper goods. Just as pretty as the other flowers, but with an edge the Thistle style is a modern take with sharper points and less feminine loops. Plus any other wedding/event goods that can be designed. Custom illustration, logo, brand identity development, and print collateral are also available for request. I'd love to work with you on your next project! For price quotes or to discuss ideas, please send me an email by visiting our contact page. I look forward to discussing your project needs!